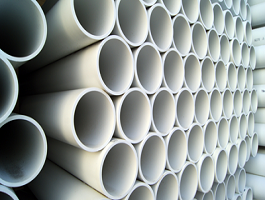 PVC Pipe | Welcome to Duro Pipe Industries Pvt. Ltd.
PVC Plastic Pipes and Pipe Fitting are available in vast range and in various materials, whatever be your application… We have the Piping System – that can be installed on surface, buried, slip lined, trench less, floating and submerged. PVC Plastic pipes can be used in Fluids transport include, For Lifting, Transporting, Conveying, Distributing Disposing or Tapping of Water, waste-water (drainage & sewage), compressed gases/air, odorous and corrosive gasses, chemicals and hazardous wastes/effluents. Solids conveyed include coal ash, slurries, sand and cables.